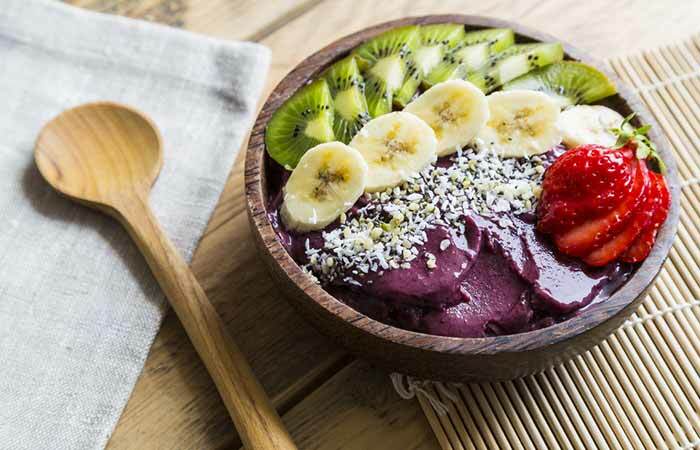 Acai bowls are one of the most popular breakfast foods. They are super easy and quick to make, and the dark purple color is to die for! 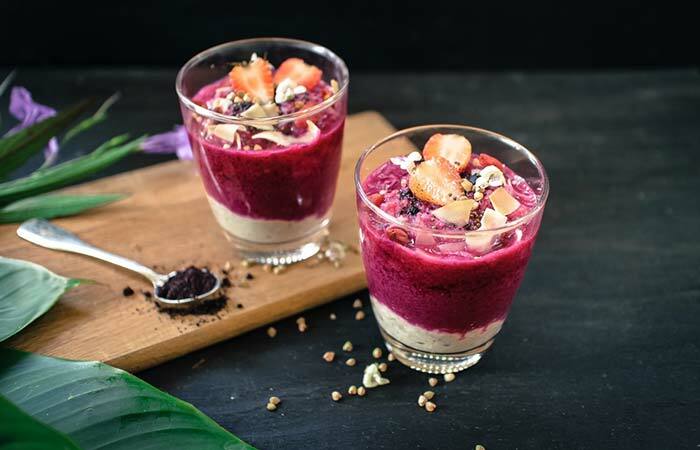 Acai berries are rich in antioxidants and help boost immunity, accelerate metabolism, and take care of all your hair, nail, and skin problems. These exotic berries have a dark chocolate aftertaste (yum!). But the taste of the acai berry bowl can go horribly wrong if you use the wrong ingredients. 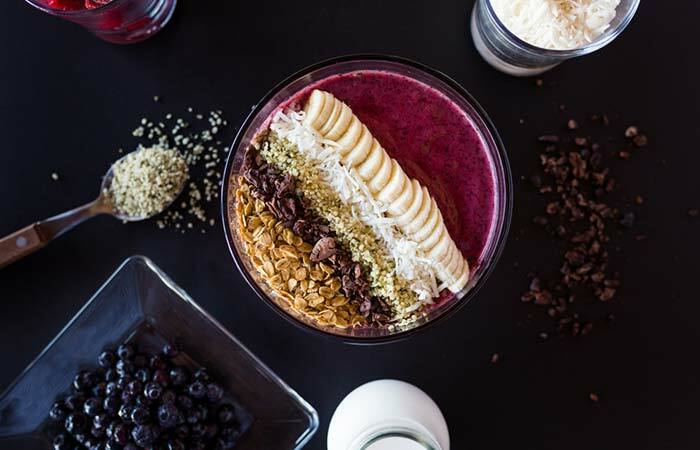 That’s why I have compiled 10 acai bowl recipes for you that look and taste great. 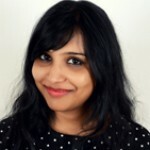 Give this post a quick read and have a hassle-free breakfast every day. Swipe up! 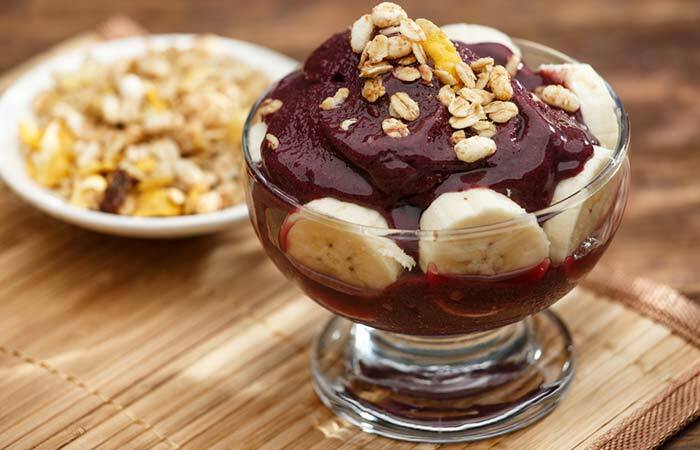 Acai berries are the fruits of the acai palm tree found in Central and South America. These reddish-purple fruits are 1-2 cm in diameter, and the seeds constitute around 80% of the fruits. Acai berries are touted as superfoods as they are nutritionally superior to other berries like raspberry and blueberry. These berries are highly effective in lowering cholesterol and aiding weight loss (1). Toss one frozen banana, milk, acai berry, and yogurt into a blender. 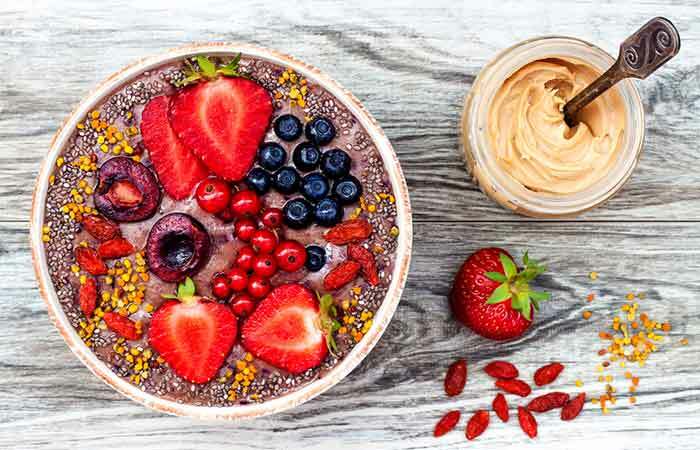 Transfer it to two bowls and top it with sliced banana, berries, pepita, melon seeds, and chia seeds. Garnish with mint leaves before serving. Toss the banana, acai berry, peanut butter, and soy milk into a blender and blitz it. Transfer it to two bowls. Top it with sliced fruits, berries, and chia seeds. Your yummy breakfast is ready! Toss the banana, frozen strawberries, yogurt, and acai berry powder into a blender and blend well. Add two tablespoons of frozen yogurt to each bowl or glass. Next, add the acai smoothie. Finally, add sliced strawberries, hazelnuts, and a little acai berry powder. Blend the banana, almond milk, acai powder, and frozen strawberries. Transfer the mixture to two bowls. Top it with sliced banana, hemp seeds, granola, grated coconut, and cacao. Blend the frozen raspberries, acai powder, almond milk, and half of the blueberries. Add one tablespoon of granola to a bowl or a glass. Add the acai berry smoothie. 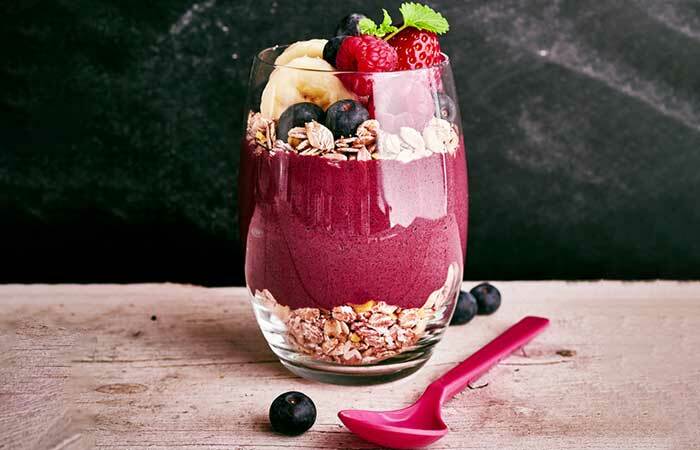 Top it with two tablespoons of granola, sliced banana, blueberries, and two fresh raspberries. Toss the frozen banana, almond milk, frozen yogurt, and blueberries into a blender and blitz it. Transfer the mixture to a bowl and top it with grated coconut, banana slices, kiwi slices, and sliced strawberry. Blend the milk, a few slices of banana, acai berry powder, cocoa powder, almond powder, flax seed powder, and drinking chocolate. Transfer it to a bowl or glass. Add banana slices and granola and have a delicious breakfast! Blend a few blackberries, frozen yogurt, blueberries, acai powder, and soy milk. Transfer the smoothie to a bowl. 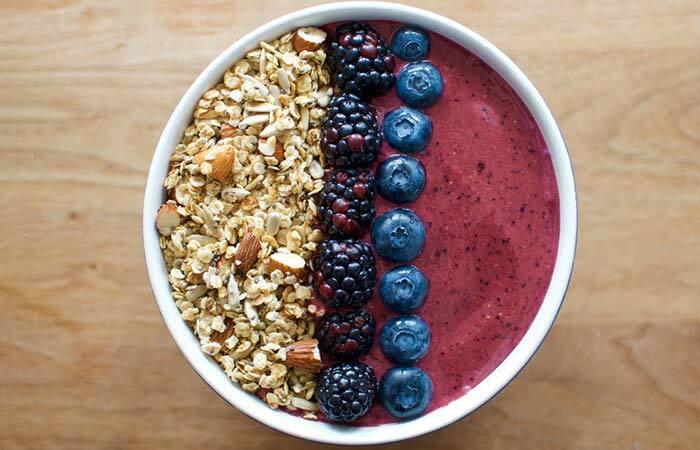 Top it with granola, almonds, blackberries, and blueberries. Toss half of the blueberries and raspberries into a blender. Add the frozen banana, organic honey, and drinking chocolate. 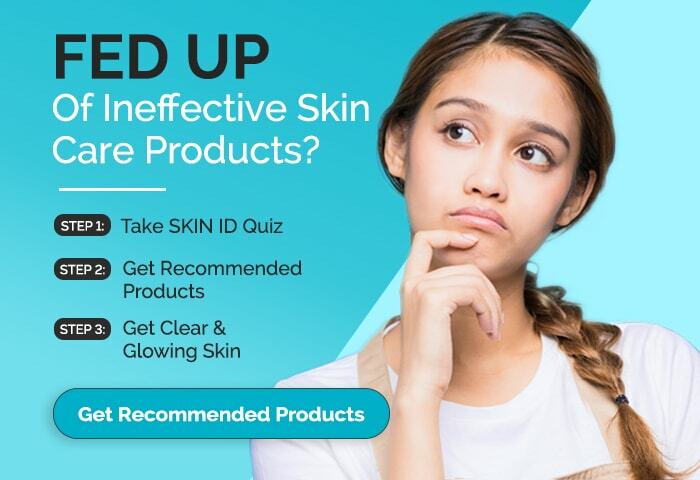 Blend well. Transfer the thick smoothie to a bowl. 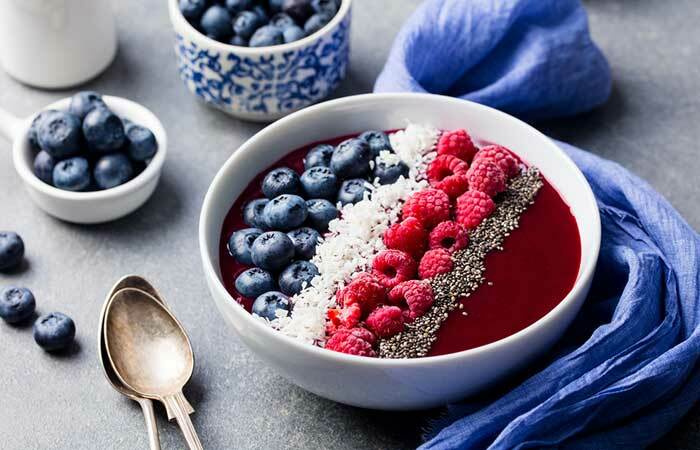 Top it with some more blueberries and raspberries, grated coconut, and chia seeds. 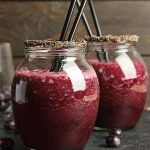 Blend the acai berries, almond milk, blueberries, turmeric, honey, maca powder, and vanilla ice cream or frozen yogurt. 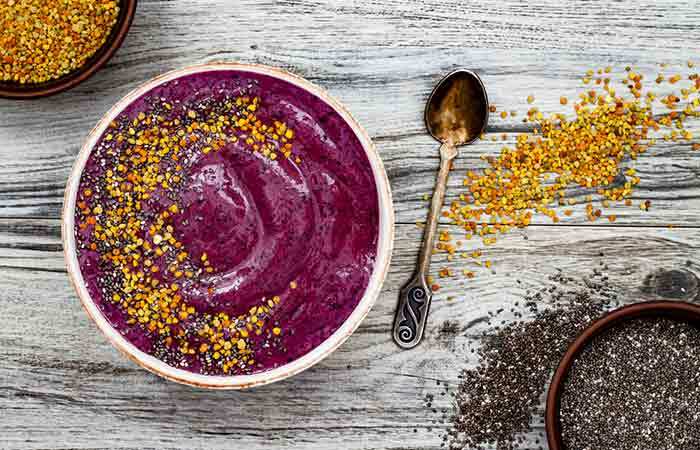 Transfer it to a bowl and top it with bee pollen granules and chia seeds. 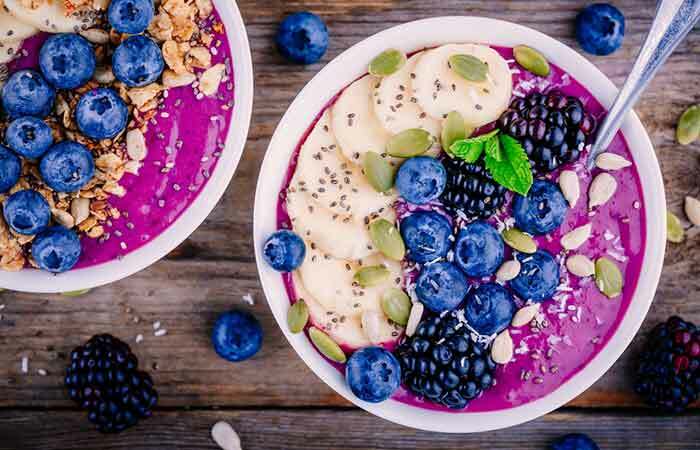 There you have it – 10 amazing and healthy acai bowl recipes that are going to make you want to have breakfast every day. All you need are a few ingredients and 5 minutes, and you can become stronger, healthier, and happier. Go ahead and make them and do let us know which one you like the most. 3 Delicious Weight Loss Smoothies that Don’t Taste Like Dieting.